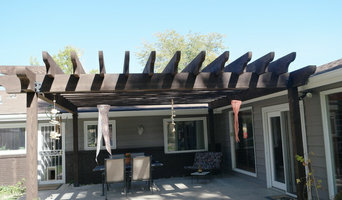 High quality, decks, pergolas gazebos, porches, room additions, sunrooms, finished basements, garages. Located in Casper, WY, Fox-Andersen Construction is the area's fire, smoke, and water restoration specialist. We are a locally-owned and operated business that has been accepting insurance work since 1979. Some of our services include clean-up and repairs to fire, smoke and water damaged homes and businesses. We are a full service company, handling the cleaning of contents and structure as well as demolition and repairs of the building. Our staff will gladly help you consider and implement any changes to your home or building as we repair the damage that your disaster has caused. For 37 years we have helped many people in Casper recover from a devastated building to a clean, odor free, repaired home. Call us at 307-265-3847 for more details. RVB will lead the future of design/build in Wyoming. AllTerra construction is a locally owned and operated business. The owner has two college degrees related to construction, and over 30 years of experience in the industry. His goal is to ensure the complete satisfaction of every customer, while offering knowledgeable and friendly service. Our commitment to helping you figure out what best fits your needs and budget will save you time and money. We appreciate your consideration, and hope to become your earth work solution. You can feel confident in our ability to meet all of your expectations. Know that our customers are always our number one priority. WW Constructors LLC is a fully licensed construction company, located in Casper, WY. We provide residential and commercial construction services as well as home remodeling services in Casper, WY and all surrounding areas. Our company has over 35 years of experience with handling small and big construction projects of any complexity. Give us a call at (307) 267-3090 and take advantage of our competitive pricing! General, or construction contractors, are often known as project managers. They oversee the entire remodeling or new home construction project and facilitate all day-to-day tasks that move it toward completion. A Meadow Acres general building contractor will work with your architect to review plan as you build a house and ensure everything is in place before work is started as well as arrange for permits and necessary inspections. While good local home improvement contractors in Meadow Acres will have the skills to handle certain tasks onsite, such as carpentry, he or she is also responsible for hiring subcontractors for the majority of jobs, such as electrical work, painting or plumbing. In addition, the general contractor should be on-site regularly to inspect the progress and resolve issues. Here are some related professionals and vendors to complement the work of general contractors: Architects & Building Designers, Interior Designers & Decorators, Landscape Architects & Landscape Designers, Kitchen & Bath Designers, Specialty Contractors. Home remodeling contractors are a must for successful completion of a renovation. Because of this, it's essential that you do your homework before deciding on the right general contractor in Meadow Acres as you remodel or build a house. Inspect bids carefully. Was it ready when the contractor promised it? Was the bid for building a home unusually high or low? Each of these things can be very telling: A late bid may reflect timing standards, and an off-the-mark bid could be code for a pricey premium or a deliberate underbid to score the remodeling job. 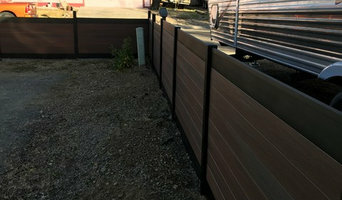 You should call references, carefully read reviews and visit completed projects in Meadow Acres, WY to see if they’re what you expect for your job. Once you do secure your local Meadow Acres contractors, read the contract very carefully to be sure everyone is on the same page. Find a Meadow Acres contractor on Houzz. 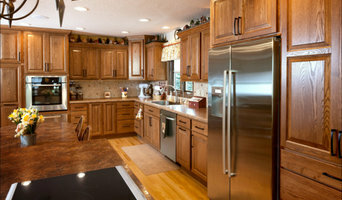 Narrow your search in the Professionals section of the website to Meadow Acres, WY home contractors. You can also search for photos in Meadow Acres, WY and contact the Meadow Acres general contractor who worked on the project.